Acupuncture was developed in China 2000+ years ago. Traditional Chinese acupuncture is based on the idea that energy (Qi, pronounced “chee”) flows through the body in 12 meridians. Think of it like water (energy in the body) flowing in a river (each meridian) that reaches every tissue in the body. Very thin, solid, sterile needles are inserted into the skin and used to cause an effect on certain points along the meridians that correlate to certain ailments or parts of the body. Energy can build up in certain points and pass through points too fast. The acupuncture needles can help to release built up Qi, help to retain Qi in an energy deficient point, or they can be used to stimulate each point to have a stronger function. The modern scientific explanation of how acupuncture “works” is that inserting needles into the acupuncture points stimulates the nervous system to release chemicals in the muscles, spinal cord, and brain, and to increase blood flow to affected areas. These chemicals can either change the experience of pain or trigger the release of other chemicals and hormones which influence the body's own internal regulating systems. Improved energy and biochemical balance produced by acupuncture stimulates the body's natural healing abilities, as well as promotes physical and emotional balance. In most cases, we combine the Eastern and Western philosophies to reach an individualized treatment plan. We want to restore the proper flow of Qi running through the body in order to reduce pain, reduce inflammation, stimulate healing of the body’s tissues, and improve function. When applied to our patients, we can use acupuncture for muscle and joint pain, neurological conditions, addiction, and a wide variety of internal organ issues. Acupuncture can be used in combination with other physical or mental therapies, or on its own. As energy flow is normalized in the body, internal chemicals and hormones are stimulated and the healing process begins to take place. The original symptoms may occasionally worsen for a few days, or other general changes in appetite, sleep, bowel or urination patterns, or emotional state may be triggered. These should not cause concern, as they are simply indications that the acupuncture is starting to work. It is quite common with the first one or two treatments to have a sensation of deep relaxation following the treatment. These pass within a short time, and never require anything more than a bit of rest to overcome. Do not eat an unusually large meal right before or after your treatment, but do try to eat a healthy meal afterwards. Plan your activities so that after the treatment you can get some rest, or at least not have to be working at top performance. Do drink adequate amounts of water after a treatment because blood flow will increase and help flush out local toxins. Most insurance companies do not yet recognize the value of acupuncture. 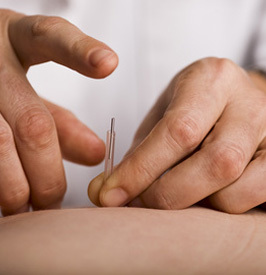 Each health policy must be reviewed to determine if acupuncture benefits are included or not.